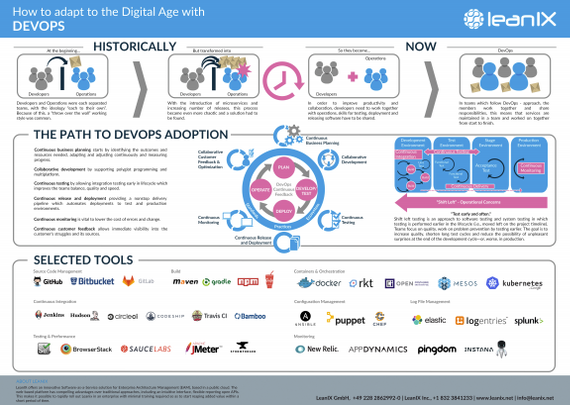 This poster shows in a nutshell how to easily adapt to the Digital Era with DevOps. DevOps is the way modern enterprises can confront the radical changes in technology and its business objectives. Agile methods are the key to this challenge. You will learn about the path to DevOps adoption and thebest tools to face DevOps with.